We serve Charlotte NC, a growing metropolitan area in the piedmont region of North Carolina. 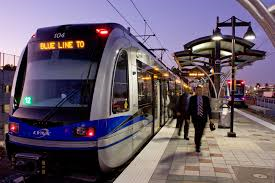 One reason our city and surrounding area continues to grow is because of our advancements in mass transportation. Where people can easily access transportation, they can create and sustain jobs. Where there are more jobs, consumers can afford to purchase houses. Did you know there is a direct correlation to increased property values and trending mass transportation routes? 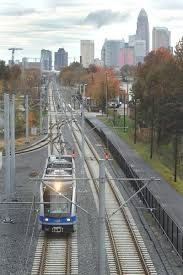 Historical studies tell us that we should anticipate positive property value appreciation along our Light Rail transportation system corridors. Like our growing Metrolina region, Morton Malloy Realty stays on the GO! We are engaged in the community. We are engaged with the local government. We are engaged with our clients. We seek to engage you by creating affordable and sustainable property ownership for you. Let us get you moving to your new home today! As realtors we match people to houses and the households becomes a community. As the years have progressed, our society has gotten away from community engagement. Recently we decided to incorporate a community clean-up program at our agency. Not only are we concerned about our clients, we are concerned that the communities they love stay clean, and that there is sustainable and affordable housing. We are happy to service all of our client’s real estate needs. We invite you to join us as we make a difference engaging and uniting our communities! If you are interest in learning more ways that we do this, please contact us. Together we can continue to create happy homeowners and strong communities.